A colleague and I were recently introduced to a group of doctors as the new representatives of a physician association. We were being introduced by a more senior male physician. My colleague (male) was appropriately introduced as “Dr LastName” followed by his credentials, his speciality and his plentiful accolades. Applause ensued. The same physician then proceeded to introduce me as “Marie Claire Bourque…..the lady in the red top over there” said while pointing. I waved. Applause ensued. Had I just been introduced as “the lady in the red top over there?” What about my credentials? What about telling the group why I was suitable for this role? Don’t get me wrong, my red top was fabulous, but I didn’t think it deserved more credit than my 14 years of post-secondary education, speciality training, and the reasons I was suitable for this role. As an excellent suppressor (when necessary), I continued to smile and promised myself I would process what happened at a more opportune time. So, I processed at a more opportune time; mainly over dinner with other female physicians. What happened was not overt sexism; the physician who introduced me did not say “This is Dr Bourque, she is a psychiatrist and because she is female she doesn’t perform as well or work as hard as her male colleagues, and she should be objectified”. It was not covert sexism, which would have looked something like “This is Marie Claire Bourque, she is one of our young female leaders who is trying to make it in a man’s world”. It was subtle sexism, and likely undetected by most, accepted as a social norm, and not even thought of a second time by the physician who introduced me. The hidden message suggested that I was somehow different. When my male colleague was introduced, he was introduced as “Doctor”. His speciality and accolades were listed. It wasn’t even mentioned that I was a doctor. The colour of his shirt was not commented on. The colour of my shirt was the only thing that I was identified by. Was it malicious? Doubtfully. I can think of MANY reasons why the introducing physician would have made this mistake (implicit biases, tired, rushed, more familiar with the other doctor, forgot that I was a doctor, liked my shirt, etc.). Regardless, if we want to be extreme, the subtle message implied that my value in the organization was no greater than the colour of my shirt. 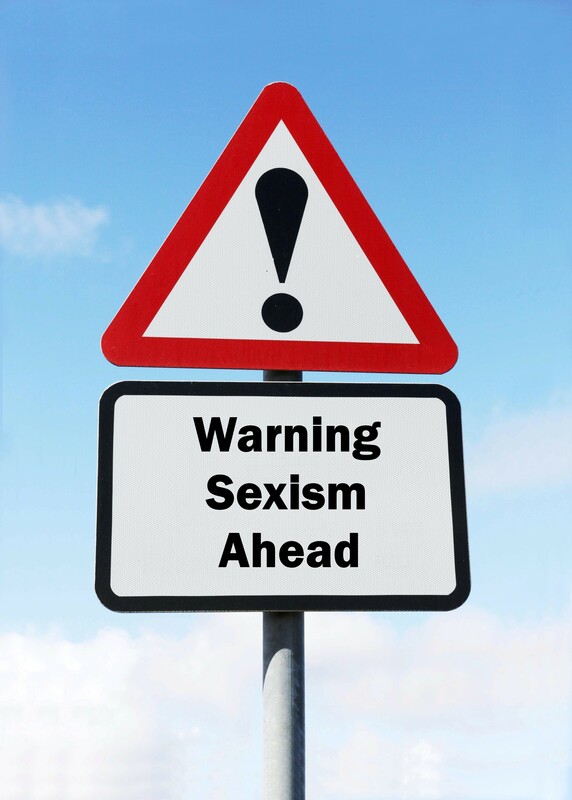 Sexism in medicine is pervasive. Doctors are no different than other human beings. Our implicit biases influence the way we interact with ourselves, with others and with the world. And to be clear both men and women participate. It exists in many forms and includes overt sexism (including objectification, and sexualisation), covert patterns (male-dominated fields, leadership roles and leadership meetings full of men) and subtle sexism (which is likely driven by our implicit biases). Why are female physicians not promoting themselves or being promoted to Department Heads like male physicians? Why do we call female leaders “bossy” or “bitchy” and male leaders “decisive” and “capable”? Why do we address male physicians as “Doctor” and in the same sentence we refer to female physicians by their first name? Why do we engage in conversation that passively dismisses a woman’s capacity to work and have children by saying “Do you think you’ll be able to handle both a family and a career?” Why does the female physician get asked to make exceptions to her day more often than the male physician? Doctors do not have an HR department and depending on where one is in their career, addressing these undesirable behaviours can be perceived as career ending. Thankfully, there have been MANY female physicians who have come before us and have brought us to a point where we have more female physicians graduating than male physicians, and we can openly discuss these beliefs and behaviours. A husband is shocked when his wife (both physicians) reveals that she is regularly asked to get her patients water, fluff their pillows, and assist with toileting. A patient addresses a female physician as “sweetie” or “miss”. A female physician chooses not to enforce boundaries after being called “sweetie” or “miss”. A female physician hearing from a patient “Oh I thought you were going to be a man”. A female physician accepts being called by their first name by other health professionals in the same context that her male counterparts are being addressed as “Doctor”. Questions at a staff or board meeting referring to a medical specialist using male pronouns. A female attending physician is baffled that her patient is asking the male resident for a second opinion. Male and female physicians complaining that female physicians don’t pull their weight once they have families. A leading male physician using his scope to look under the scrubs of a female trainee. A female conference attendee being singled out and asked for her ID badge while entering the conference with a group of male attendees (who were not asked for their conference ID badges). A decision made by female physicians questioned by nursing staff, until a male colleague comes along and OKs the decision. A female physician feels shameful that she has not “gotten over” the death of a patient as fast as her male colleague. We all have implicit biases about gender roles, professional roles, leadership qualities and behaviours because our brains are very good at creating conceptualized stories and predicting the future based on past information, socialized views and past events. These stories influence the way we interact with ourselves, others, and the world. What stories do you have about what a doctor/leader/male/female? How are these biases influencing the way you interact with yourself, others and the world? This article is not meant to blame or shame. In fact, quite the opposite. It is meant to encourage reflection and discussion. Dr Marie Claire Bourque is an award-winning psychiatrist, speaker and educator. She has a passion for all things wellness and challenges herself and the people around her to live with purpose. She challenges her patients and clients to find their authentic selves amongst the chaos of unconscious defences and external conceptualized rules while leaning into uncomfortable emotions rather than running away from them. A Master's level kinesiologist and former elite athlete, she regularly combines her knowledge of exercise physiology with emotional and mental health and practices therapeutic modalities that involve the Mind-Body diathesis. In addition to the traditional psychiatric practice, she teaches and prescribes mindfulness, meditation, exercise, boundaries and resiliency factors. She is a currently a Consulting Psychiatrist for Alberta Health Services at a large tertiary care teaching hospital in Calgary, Alberta (Foothills Medical Centre). She also serves as the Vice-President of the Medical Staff Association and sits on the Board of Directors of the Canadian Psychiatric Association.